Dell have released a new range of laptop case covers for their Mini Inspiron and Studio laptops meaning there’s a total of 130 new cases to choose adding to the over 200 already available. 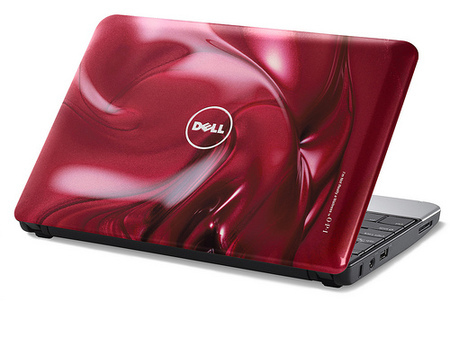 Dell Studios are media-centric laptops with a focus on design and good graphics rendering and the customisable case is part of making them stand out a bit. 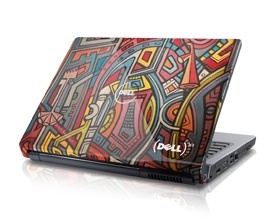 I’m all in favour of case-customisation, BUT this Dell announcement has got slightly on my nerves, largely because of the advertising. So basically there’s a range of covers in nail lacquer colours designed by nail varnish company OPI. Dell doesn’t explicity state that is for the laydeez, but I kind of get the impression that it is. You know how those girls like to paint their nails? surely they’ll want their laptops to look like giant nails. You know, I don’t even mind glossy pastel colours – it could look nice, but I do resent the marketing association. There. I’ve said it. The other range suggests that sports fans (maybe boys ??!) will want to get their laptops done out in the colours of their national football team as part of their Anthem case series out in time for the World Cup. Anyway, I suppose it is at least a step that they haven’t explictly spelt out the girl/boy divide – um.